BRIDGEPORT — Ella M. Cain, Mono County pioneer and author of two books about the county, died Tuesday at 10:30 p.m. at the Mono Medical Center. She was 83. Recitation of the rosary is scheduled for 7 p.m. Friday at the Infant of Prague Catholic Church. Funeral services will be held Saturday at 1 p.m. in the Mono Memorial Hall in Bridgeport. Mrs. Cain was born June 9, 1872, in Bodie, famed Eastern California mining camp, the daughter of Mr. and Mrs. M. J. Cody, Mr. Cody, the first Land Office Receiver in this area of the West, was elected sheriff of Mono County in 1888. Mrs. Cain lived in Bridgeport as a young girl, then went away to school. She returned to Bodie to teach and, on June 15, 1904, married David V. Cain, son of Bodie pioneers Mr. and Mrs. J. S. Cain. 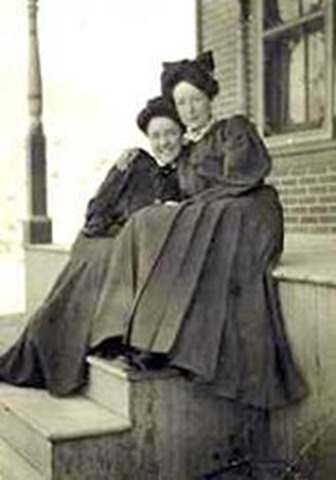 The family, which at the time included two daughters, Ruth and Helen, lived in Aurora from 1913-17, then returned to Bodie. Mrs. Cain and her husband had lived in Bridgeport in recent years. She was the author of “The Story of Bodie”, copyright 1956, and “The Story of Early Mono County” copyright 1961. Mrs. Cain is survived by her husband, David V. Cain Sr., two sisters: Mrs. May Goodwin of Oakland, and Mrs Catherine Rittman of Berkeley; a daughter, Mrs. Helen Evans; a son, David V. Cain Jr.; four grandchildren: David Evans, Mrs. Diane Kurt, Ruth Evans and Helen Evans; and two great-grandchildren, both children of Mr. and Mrs. Kurt, who are stationed in Levoron, Italy. Burial will be at the Bridgeport cemetery, where her daughter Ruth, who preceded her in death, is also buried. Funeral arrangements are being handled by Ross-Burke Co. of Reno, Nev.